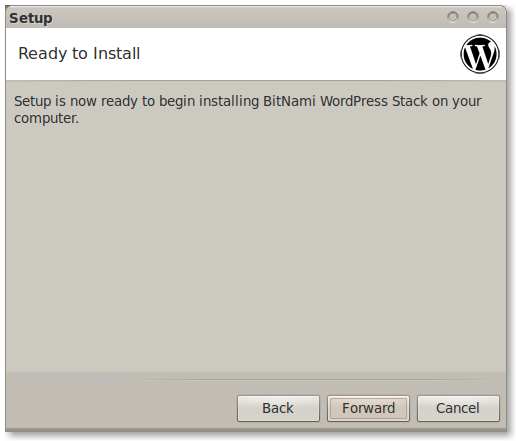 BitNami Wordpress Stack is a free, self-contained, easy-to-install package that bundles every piece of software (dependency) necessary to run Wordpress for development or production purposes. 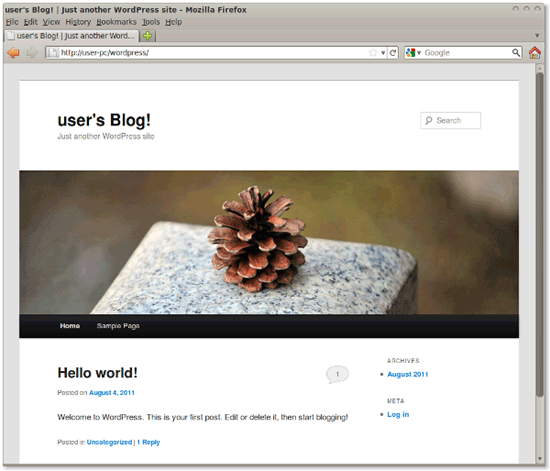 It includes the latest version of Wordpress and is fully configured and ready-to-run. 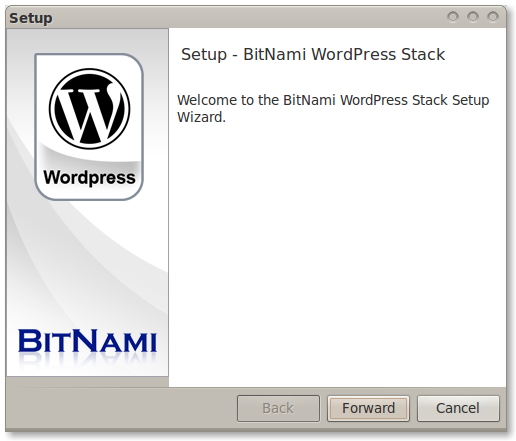 You can download the latest version of BitNami Wordpress stack for Windows, Linux and OS X at http://bitnami.org/stack/wordpress. 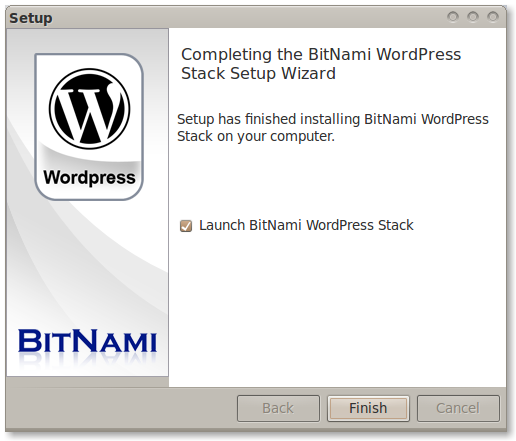 Download the latest version of Wordpress Stack from the BitNami website. 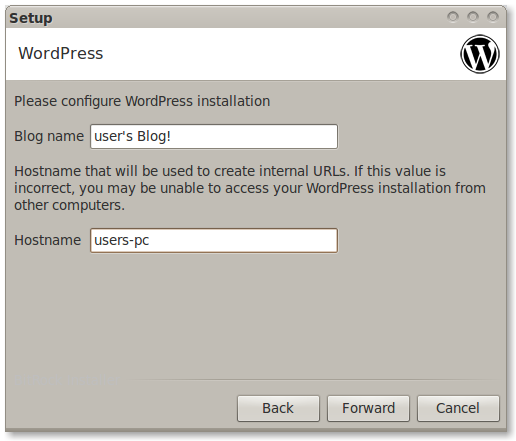 Find the installer you just downloaded (the filename will be similar to bitnami-Wordpress-VERSION-linux-installer.run. Double click on the icon to launch the installer. Select the components you want to install. If you are not sure, leave the default components checked. Click "Forward" when you are done. Now it will ask where do you want to install the program. 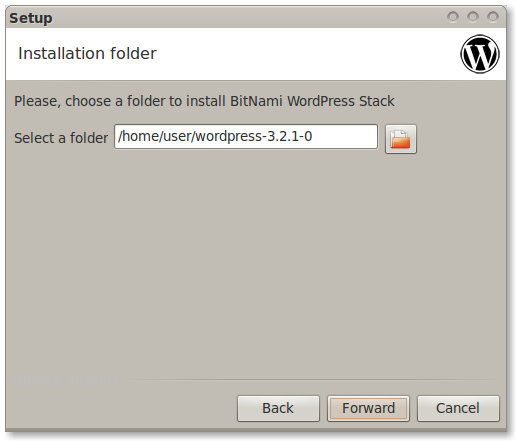 Provide the location where you want to install the BitNami Wordpress stack and click "Forward" when you are done. 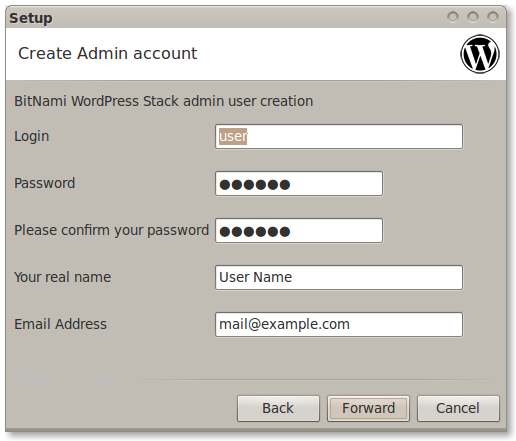 The user and password you provide here will be used to create the admin account in Wordpress. Click "Forward" when you are done. Type in the name you want to use for your Wordpress site, and click "Forward". 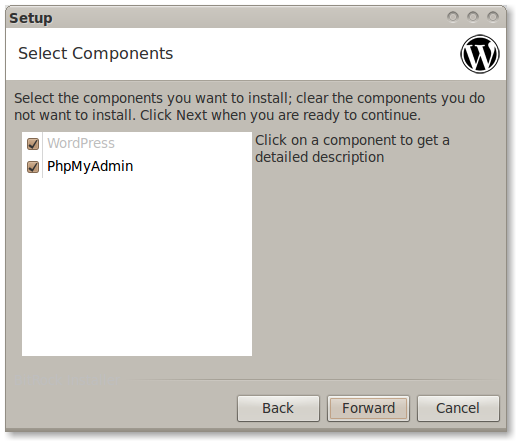 Wait a minute while the installer copies the files and configures your Wordpress installation. Wordpress is now set up and ready to be used. Click "Finish" to launch the application. It sounds good to have such self contained software BitNami, for keeping every pieces of software needed to run wordpress.. This is a pretty worth-full package. Another thing is the useful steps are here to install such wonderful stack..